Pitching is the art of throwing a baseball towards the home plate to start a play. By changing the velocity, movement, hand position, and trajectory of their pitch, a pitcher is able to make a variety of throws, from speed pitches to curveballs. The art of pitching depends on speed barometers, and it’s not always about a fastball. A breaking pitch is more about movement, but getting the velocity right is key to achieving a perfect curveball or a slurve. The best way to measure the effectiveness of a pitch, you need a high-quality baseball radar gun to capture the ball’s every moment. 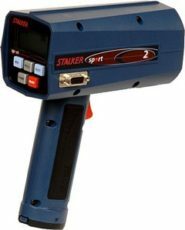 High-quality radar guns, such as the Pro Stalker II, use a Doppler radar to measure the speed of an object. The gun sends out a radio signal in a narrow beam, and then measures the time it takes for the signal to bounce off a target object. We have a variety of radar guns for baseball and accessories that will be useful in your personal spring training and in your little or local league. We also have speed detection equipment for training and stadium purposes. 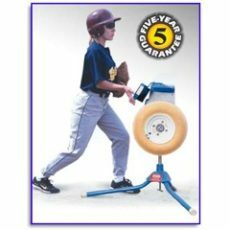 Pitching machines, pitching mounds, pitching and batting cages, you’ll find all these with us. Rest assured that our radar guns for sale are available in several price brackets. 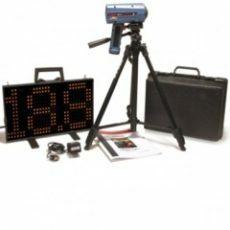 Whether you’re looking for a simple velocity feedback or a multi-purpose radar gun, we have it. This tool will be crucial in gathering data about player performances and in developing new pitching strategies for the upcoming games. 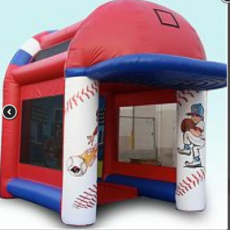 Aside from radar guns, we also carry baseball inflatables to bring the game to where kids and adults can enjoy it. 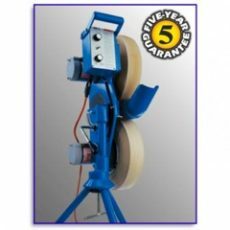 Add any of our other pitching products to create a genuine ballpark feel to any birthday party or celebration. Whether you aim to pitch for the majors or simply for fun, you don’t have to go further than Radar Sports to get all the equipment you need. 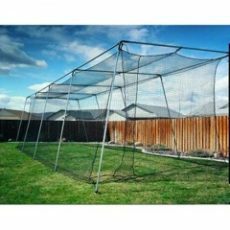 Whether its radar guns for baseball pitching, batting cages for batting practice, or anything else related to velocity measurement, we have what you need. To learn more, get in touch with us by visiting our contact page.